NFL Hall of Famer, Raider Asst. DB Coach and Former Steeler & Raven Rod Woodson joined The Norris & Davis Show to talk about “Deflate-Gate” and Ed Reed’s career and retirement. “I think Ed will end that. A lot of people talk about Troy Polamalu but, I tell them to hold their brakes with the Troy Polamalu talk…he wasn’t a play-maker like Ed.” “…doesn’t mean he (Polamalu) doesn’t belong in the Hall of Fame, I just think Ed Reed, to me, is a sure first ballot Hall Of Famer. 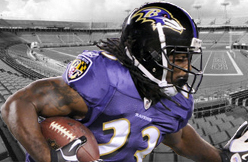 “I thought I did a lot of studying and I thought I jumped a lot of routes, but Ed Reed took it to another level. If it wasn’t for the injuries for Ed, I thought he had an opportunity to break the all time interception record. The Oakland Raiders hope their third-round pick, tight end Clive Walford, can make an immediate impact as a rookie. Walford, taken No. 68 overall, will have a chance to be a contributor right away. With a strong training camp and preseason, I wouldn't be shocked if Walford had a chance to unseat third-year starter Mychal Rivera. Rivera has 96 catches in two seasons, but Walford has a chance to be more dynamic. 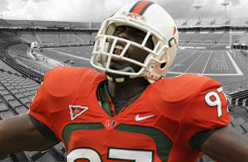 Walford is the all-time reception record holder at Miami, a school that has been a tight end factory. Five tight ends have been drafted since 2000 from the school who have made an impact in the NFL. Let's take a look at each of their rookie seasons to guage perhaps what to expect from Walford in 2015 (see chart). Summary: Most of these players took off in their second or third years. I could see Walford getting in the 40-50 catch range this season. If he develops quickly, he could thrive in the fast-pace offensive scheme of new coordinator Bill Musgrave. Walford can stretch the field and quarterback Derek Carr has the arm to find him. It is too soon to say Walford will have the NFL career impact that his recent Hurricane brethren has had, but I can easily see him rival the rookie season all but perhaps the one Shockey delivered. Colts OC Pep Hamilton said first-round WR Phillip Dorsett can "absolutely" have an immediate impact. Hamilton added that as soon as the surprising Dorsett pick was made, he went downstairs and "ripped up" some of his 3-TE and 2-WR packages. The suggestion is that the Colts will creatively use Dorsett and Donte Moncrief behind the top-two of T.Y. Hilton and Andre Johnson. We'd have an easier time believing in Hamilton's optimism if his preferred sets didn't involve having both Dwayne Allen and Coby Fleener on the field. ESPN Raiders reporter Bill Williamson says third-round TE Clive Walford will "get his chance early." Williamson projects Walford as the Week 1 starter ahead of Mychal Rivera. Ultimately, we'll likely see a lot of two-TE sets featuring Walford in-line and Rivera in the "move" role. It's hard to get excited about either one from a fantasy perspective given Derek Carr's limitations and the team's desire to be run-heavy. The Seahawks’ acquisition of tight end Jimmy Graham this offseason meant some players had to smooth feathers ruffled in past altercations from Graham’s days with the Saints, but it won’t require any major adjustments for the team’s offense. That was the message from wide receiver Doug Baldwin this week during an appearance on 710 ESPN in Seattle. Baldwin said that installing Graham into their offense was going to be easy because of how many things Graham can do. One thing Graham’s never been known for is his blocking prowess, but Baldwin thinks his presence will still be a boon for running back Marshawn Lynch. He believes Graham’s presence will spread out opposing defenses and that Lynch’s production is “going to be devastating,” which is pretty much the result the Seahawks wanted when they swung the deal for Graham. In the wee hours of the night after the Browns made their two first-round selections, Ray Farmer, in unprompted fashion, was talking about Travis Benjamin. A veteran of 11 knee surgeries, the Browns general manager was compelled to come to Benjamin’s defense after he was asked whether he would make a concerted effort to upgrade the team’s corral of return men. Over the next two days, the Browns brought in two players with experience returning punts and kicks -- Duke Johnson and Charles Gaines -- but it’s clear they won’t be the only ones competing for the spots Benjamin has occupied over the past few seasons. They’ll have to be better than a healthier Benjamin to earn one or both of the valuable roles. The Browns shuffled through four different punt returners and seven different players returned at least one kick in 2014. Benjamin easily accounted for the most punt returns but averaged just 8.5 yards on the 15 he was able to take. In 2012, he averaged 11.7 yards per return and took one back for a touchdown. Benjamin returned 12 kicks (a career high) for an average of 20.5 yards last season. As a team, Cleveland ranked 24th in the NFL in punt return average and 25th on kicks. Special teams coordinator Chris Tabor expects Benjamin to be at the center of the Browns making major improvements in both areas next season. Asked if he expects Benjamin to be better in the return game, Tabor delivered a simple, profound response. “I expect him to be great,” Tabor said. Tabor said he foresees Benjamin “strengthening the punt game” and “being used as a guy in the kickoff return game” along with the likes of Johnson, Gaines and potentially defensive back Justin Gilbert. He’s coming off his busiest season as a wide receiver, too, as he finished with 18 receptions for 314 yards and three touchdowns, all of which either matched or surpassed career highs. Tabor said the decline in production on returns and incline in production as a wide receiver could go hand in hand. “A guy begins to play more offensive snaps, gets more touches that way, and maybe the keenness or the sharpness of focusing in on catching the ball and having those opportunities in the return game, they get slighted a little bit,” Tabor said. “I think it’s when things like what happened to us last year in the return game ... I think that opens your eyes a little bit. Yasmani Grandal batted 2-for-4 with an RBI in the Dodgers' loss against the Rockies on Thursday evening. He is chugging along with a batting line of .307 / .421 / .500 that should be considered mostly sustainable, along with 4 homers, 17 runs scored, and 16 batted in. Fantasy Impact: A season of .270 / .380 / .450 with 15 to 20 homers would almost certainly secure Grandal a top-5 finish among fantasy catchers, and that doesn't seem far-fetched at all. The breakout is real, and Grandal should be owned and started in all leagues. The Cardinals added reinforcements to their short bench after yet another key injury Wednesday night. Outfielder Jon Jay went on the 15-day disabled list with left wrist tendinitis and Xavier Scruggs was called up from Triple A Memphis, the organization announced Thursday morning. Left fielder Matt Holliday remains active and is in the lineup for an 11:10 a.m. game at Cleveland. He suffered a left elbow contusion when he got hit by Corey Kluber's 94-mph fastball in the first innnig Wednesday night but will serve as the DH today against the Indians. The Cardinals met with veteran linebacker Darryl Sharpton last week, but signing him at that point would have hurt the team when it came time for the NFL to hand out compensatory draft picks next year. That penalty disappeared on Tuesday, leaving teams free to sign unrestricted free agents without any penalty in the draft pick equation. It’s probably not a coincidence, then, that the Cardinals went ahead and signed Sharpton on Wednesday. Sharpton signed with the Redskins before last season, but wound up on injured reserve at the end of training camp. He was eventually released and signed with the Bears, for whom he made five appearances and two starts. Sharpton’s first four NFL seasons were spent with the Texans, who drafted him in the fourth round of the 2010 draft. Arizona signed Sean Weatherspoon as a free agent early in the offseason and he sits atop the depth chart at inside linebacker along with Kevin Minter. 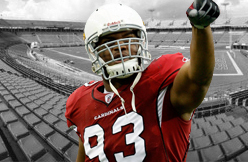 The Cardinals also signed several undrafted free agents with college experience at the position and could get Daryl Washington, who was suspended for the entire 2014 season, back at some point in 2015, although the team’s said that they aren’t planning on his presence. Chargers signed second-round ILB Denzel Perryman, third-round CB Craig Mager, fifth-round OLB Kyle Emanuel, and sixth-round OLB Darius Philon to four-year contracts. Perryman, the 48th pick in the draft, projects as a two-down thumper in the NFL who is strong against the run. He should compete with Manti Te'o for the starting job next to Donald Butler right from the jump in San Diego. Duke Johnson’s 1,652 rushing yards jump out as one clear reason the Cleveland Browns used a third-round pick on him. But don’t underestimate the 68 career receptions or the 38 catches Johnson had for the Miami Hurricanes in 2014, or the three receiving touchdowns. 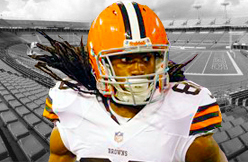 Johnson’s receiving ability fills a great void for the Browns. As well as Isaiah Crowell and Terrance West ran at times one year ago -- they combined for 1,280 yards and two touchdowns -- they never really filled a role as a receiver. That could have been inexperience. It could have been Brian Hoyer looking more to the wideouts. It could have been that the emphasis on play-action took the backs out of the passing game. ESPN Stats and Information reports that Browns backs had a league-low 32 catches in 2014 for a league-low 226 yards. The backs also were targeted a league-low 36 times and scored a mere one receiving touchdown. Backs are paid to run the ball, but Johnson’s strength is he brings skills that West and Crowell lack. Offensive coordinator John DeFilippo said the Browns have been lining up West, Crowell and Glenn Winston wide in some plays. No doubt Johnson will do the same. Johnson’s quicks were evident in the rookie camp. But that’s what should happen. Quickness should stand out in drills without contact and without aggressive play. But Johnson also showed the ability to make catches on the run, including over-the-shoulder and down the field. The temptation game with any small and quick back with good hands is to compare him to Darren Sproles. Sproles is 5-foot-6 and cat quick, and he’s averaged 60 catches the last seven season. Johnson is not Sproles. But he has some of Sproles’ attributes, especially quickness. That is an attribute the others backs lack. The thought of the Browns using Johnson in certain mismatches and in certain formations to take advantage of his skills -- and speed -- has to be appealing to the offensive staff. 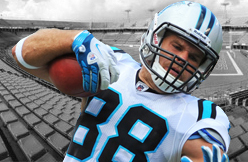 Panthers tight end Greg Olsen (No. 89) cracks the Top 100 for the first time. It's an overdue honor for the most dependable option Cam Newton's ever had. Olsen went over 1,000 yards receiving for the first time in his eight-year career in 2014. 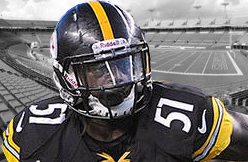 Linebacker Sean Spence returned to the field in 2014 after missing the previous two seasons with injuries and now takes a look back at what the season was like for him and where he can improve. How would you evaluate your play last season? What did you learn from fellow linebacker James Harrison last season? Was last year the most fun you have had playing football? What stands out from last season? Redskins Re-Assign No. 89; Could Santana Moss Be Done? WASHINGTON — As the Washington Redskins prepare for rookie minicamp this weekend, a proverbial passing of the torch may be happening in the team’s equipment room. For the last decade, No. 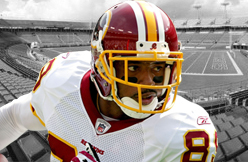 89 has been synonymous with receiver Santana Moss, who has served myriad roles for the offense and locker room over the years. Now, his jersey, place on the roster and locker just inside the team room at Redskins Park could be filled by younger, cheaper talent. According to the team’s official roster, No. 89 has been at least temporarily assigned to undrafted rookie tight end Devin Mahina, BYU, who will be fighting for his spot on the 90-man roster heading into training camp. All numbers assigned at this point in the process are subject to change, as roster tryouts, drafted and undrafted rookies look to make an impression on the coaching staff. But as the team gets deeper into free agency and closer to training camp, Moss, a free agent, seems further from the picture. And for good reason, at least by the numbers. Moss hasn’t been a full-time starter since 2011, and he hasn’t started 16 games since 2010. Last year, he made zero starts with zero touchdowns for the first time since his rookie campaign in 2001. He had 15 targets and 10 receptions for 116 yards, all lows since 2001. Long removed from being the focal point of the offense or special teams, Moss offers only memories of the skill set that made him one of the most dynamic threats in the NFL through the first decade of the 2000s. The Redskins have addressed the receiver position heavily in free agency, adding Pierre Garcon, DeSean Jackson and Andre Roberts in recent years. They have also drafted high-upside receivers Ryan Grant and Jamison Crowder in the last two drafts, making Moss expendable. Judging from his comments heading into the offseason, Moss is aware of that fact, but wants a chance for one last rodeo. “I know what time it is right now in my career,” Moss said at the time. “All the accolades, it’s in the past, it’s been done. I’m just trying to win, and trying to be a part of something that wants to win. For what it’s worth, Moss still believes he has the ability to compete and win at the NFL level. Whether or not Moss returns, don’t expect the retirement send-offs shown to other iconic Redskins like Clinton Portis and Chris Samuels in recent years. Instead, the man who carried himself with such ferocity on game day and a businesslike approach to practice will opt to go out his way. “When I leave this game, there’s not going to be no press conference,” Moss said late last season. “I’ll probably be somewhere at home and you’ll find out I’m gone. Seriously. I’m not good with goodbyes and I’m not going to sit here and make it a big deal about me. Does Ed Reed want a statue of himself built outside M&T Bank Stadium? There are two statues outside M&T Bank Stadium of Baltimore football icons, one of legendary Colts quarterback Johnny Unitas and another of retired Ravens middle linebacker Ray Lewis. Does recently-retired Ravens free safety Ed Reed want one built of himself alongside Unitas and Lewis? "No statue, man, I don't think so," Reed said. "It's not up to me. I'm grateful to have played for such great fans. I don't need a statue for all that. I'm blessed I made it this far." An argument could be made that he deserves one, considering Reed's credentials as one of the greatest defensive players in franchise and NFL history. 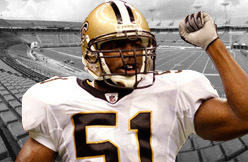 He was a nine-time Pro Bowl selection and a 2004 NFL Defensive Player of the Year. However, the Ravens haven't made a statue for Pro Football Hall of Fame offensive tackle Jonathan Ogden. And there's the practical matter of whether there's space outside the stadium for a third statue. Former Saints linebacker Jonathan Vilma, who was initially suspended an entire season before successfully fighting to have his ban in the NFL's bounty probe overturned, offered some advice to Patriots quarterback Tom Brady as he confronts a similar challenge. "I'd tell Brady to fight the emotion of defending himself publicly, lawyer up and begin to devise a gameplan to beat the NFL through the [court] system," Vilma wrote in a text message. Vilma hired his own lawyer -- Peter Ginsberg -- exhausted the league's system of appeals and took the NFL and commissioner Roger Goodell to federal court. That provided the leverage necessary for Goodell to appoint former commissioner Paul Tagliabue as a neutral arbitrator. Tagliabue threw out "all discipline" Goodell had imposed on Vilma and defensive end Will Smith for taking part in a Saints program that rewarded injurious hits. Tagliabue did the same for two players who by then were no longer with the club, Browns linebacker Scott Fujita and free-agent defensive lineman Anthony Hargrove. Vilma, suspended by Goodell for the entire season, and Smith, suspended four games, played while their appeals were pending. Fujita, who was facing a one-game suspension, was on injured reserve. Hargrove's suspension initially stood at eight games but was reduced to seven with credit for his first five games missed as a free agent, essentially reducing the ban he'd been facing to two games. Vilma doubts the protocols required by the collective bargaining agreement would allow Brady to prevail in his expected appeal to the league for his role in the deflating of footballs. Brady has until 5 p.m. Thursday to file his appeal. A source said he has involved the NFL Players Association for the first time and the union will assume the lead in defending Brady. The Saints and Patriots were punished not only for violations of league rules but also for failing to cooperate with the NFL investigations into wrongdoing and concealing the illegal activity. But while Goodell led the investigation into the Saints' scandal and determined punishment, the league hired Ted Wells to investigate the Patriots and Brady, and Goodell deferred to league executive Troy Vincent to determine the punishment. Vilma believes those differences will increase the challenge for Brady, whose appeal will be heard by Goodell or his designee, likely Harold Henderson. "We based our argument off of Goodell being the face of the BountyGate witchhunt," Vilma said in the text message. "He hasn't done that this time around. I don't know how he accuses Goodell of being too bias to be [the] arbitrator. I was able to prove he was biased and then let all the facts start coming out in a neutral setting." Vilma said it was difficult to compartmentalize preparing for a game each week while simultaneously being fully involved in challenging the league's discipline. It likely would be even harder for a quarterback like Brady, considering his responsibilities. "Just wears on you because no matter what you do on the field, the only questions he'll receive are about Deflategate," Vilma said. One other interesting parallel: Agent Don Yee, who represents Brady, also represented Saints coach Sean Payton. He remains the only head coach in NFL history to be suspended, missing an entire season. WHITE PLAINS, N.Y. — Any time a team drafts a mammoth offensive lineman with their top pick, chances are the quarterback is going to be thrilled. That was exactly Eli Manning's reaction on Monday to the Giants' selection of offensive tackle Ereck Flowers with their top draft pick. Manning was in White Plains for a sponsor recognition party for 38th Annual Guiding Eyes for the Blind Golf Classic — a charity that provides guide dogs to people with vision loss as well as service dogs to children with autism. While clutching a puppy named Otis in his arms, Manning weighed in on the Flowers pick. "Anytime you get a big 330-pound offensive lineman, the quarterback is usually pretty happy about that," Manning said. "I didn't get to meet all the draft picks, but I got to meet a couple of them, and say hi, and get on the field and work with them." The Giants' top pick should get an opportunity to protect Manning right away. Flowers saw reps at left tackle throughout rookie minicamp, the position he projects at long-term, and he is expected to compete for one of the tackle spots in training camp. Flowers has built a reputation as a mauler in the running game, but he performed solidly as a pass protector also, giving up zero sacks and 10 total pressures in 2014, the latter of which was the third-lowest in this draft class, according to Pro Football Focus. At 6-6, 324 pounds, Flowers' sheer size also leaves quite an impression. Not surprisingly, it was one of the first things that Manning noticed when they were introduced. "Big man, big man," Manning said. Former Ravens reserve running back Damien Berry was extradited from a Florida jail on outstanding warrants in Maryland for charges of writing a bad check of over $100,000, vehicle theft, unlawful taking of a vehicle and unauthorized removal of property charges, according to Maryland court records. Berry, 26, is free on bail and has been assigned a July 14 date at Howard County District Court. He faces charges in Howard County for allegedly writing a worthless check of $106,024 for a 2015 Land Rover Range Rover purchased at a Clarksville car dealership. Berry was arrested by the Lee County Sheriff's Office in Florida on the Maryland warrant a week ago. He was extradited to Maryland on Tuesday, according to Florida and Maryland law-enforcement officials. On March 3, the manager of the car dealership filed a report with Howard County Police alleging that Berry purchased the vehicle with a personal check, according to police. Written for the full amount of the purchase price, the check came from a closed bank account. The warrant was issued March 25 by Howard County Police. Berry also has active cases in Maryland in Baltimore County for driving on a suspended license and failure to appear, failure to display license on demand and failure to appear, and failure to pay child support. Before being released by the Ravens two years ago, Berry was arrested by Baltimore County police on a failure-to-appear warrant stemming from a charge of driving with a suspended license. The former University of Miami player was pulled over in his 2010 BMW by Howard County police on Jan. 24, 2013, at 1:06 a.m. for driving 63 mph in a 40 mph zone. The native of Belle Glade, Fla., was cited for speeding as well as driving with a suspended out-of-state license, driving on an expired license and failure to display license on demand. Berry spent the 2012 season on injured reserve after being on the Ravens' practice squad as a rookie two years ago. He was released by the Ravens before the 2013 season. The former NFL player sold his Super Bowl XLVII ring last year and it later was auctioned off by Goldin Auctions. He told The Baltimore Sun that he didn't sell his ring, but notarized documents told a different story. Ken Goldin, the founder of Goldin Auctions, two years ago said Berry and witness Brian Levine went to a Wells Fargo bank in Florida to have the sales contract notarized. Goldin said Berry displayed his driver's license to an authorized, licensed notary before being given two cashier's checks that the NFL player then cashed at the bank. A copy of one cashier's check in the amount of $10,000 from Wells Fargo made out to Berry was emailed to The Baltimore Sun. The documents show that the purchase agreement was signed and executed Aug, 30, 2013. Goldin said the ring later was sold to an undisclosed third party, which then consigned it to Goldin Auctions. "We feel like our credibility has been questioned by Damien, and I feel like he's injuring the sale of the ring," Goldin said last year in a telephone interview. "We wanted to set the record straight and assure the winning bidder on the ring to know that we have full authorization to sell the ring and they will own it clear and unencumbered. I don't know why Damien is doing this, but I can only imagine that Damien is embarrassed." Berry told The Sun at the time that a friend put the ring up for sale without his knowledge to an undisclosed third party, which then sold it to Goldin Auctions. Since being cut by the Ravens, Berry hasn't played for another NFL team. "This isn't a good look, I know that, but I swear this didn't start with me," Berry said. "I have a lawyer who's working with me to try to get the ring back. "I was shocked when people starting coming at me on Twitter about what's up with my Super Bowl ring. It's definitely upsetting, but everything will be all right." Cardinals outfielder Jon Jay could be placed on the disabled list to allow his thumb and wrist to properly heal and to allow the team to add a healthy outfielder to the roster after an injury to Matt Holliday Wednesday, the St. Louis Post-Dispatch reports. "He's still not where he wants to be," Matheny said of Jay. "We're going to be very guarded. Part of it is the thumb. And there's part wrist in there. That wrist is something we hope we had in the past with the surgery, but it takes times to get all the range of motion back. Strength is still an issue. Try to get him some rest. That will help." Jay hasn't seen any action at the plate since Saturday due to the injury. JACKSONVILLE, Fla. --- The Jacksonville Jaguars have made several moves following rookie minicamp that will impact the team's depth chart heading into OTAs. On Monday, the team waived wide receiver Tommy Streeter, tight end Marcel Jensen, safety Jeremy Deering and kicker Derek Dimke. The team also signed Western Michigan defensive tackle Richard Ash, Akron defensive end Cap Capi, Portland State wide receiver/return man Kasey Closs, UNC-Charlotte free safety Desmond Cooper and Northern Iowa offensive lineman Jack Rummells, according to the Jaguars. Streeter is the likely the biggest name among the cuts. He is a former sixth round pick of the Baltimore Ravens and won a Super Bowl with the team in 2012. Despite playing in the league for three seasons, Streeter has only appeared in two games. Both of those appearances were made last season with the Jaguars. The San Francisco 49ers will open their three-day rookie minicamp in a week and a half, and it will feature a large number of tryout candidates. The team's 19 draft picks and UDFA signings will be in attendance, but we could see as many as 15 tryout candidates as well. One such tryout candidate will be offensive lineman Jared Wheeler. His agent tweeted out Wednesday morning that Wheeler will attend the Seattle Seahawks rookie minicamp this weekend, and then the 49ers rookie minicamp next weekend. Wheeler signed with the Carolina Panthers last May as an undrafted free agent out of Miami (FL). He was waived early in training camp, and claimed by the Buffalo Bills. He was cut at the end of training camp, and it appears did not play during the season. He signed with the Seahawks in February, but was released on Tuesday, likely to make room for draft picks and UDFAs. A year ago, the 49ers had 14 players in for a tryout at rookie minicamp. Of that group, only Chase Thomas earned a training camp invite. Odds are pretty long for tryout candidates, but you never know what might come of it. The 49ers could use some more training camp depth along the offensive line, so maybe Wheeler earns himself a training camp opportunity. Big kid a real mountain of a man. Played special teams. Keep your eye on him. Too much size to go unnoticed. A kid I've been eyeing for a long time and think there is something untapped in his potential. 6-4.5 and 320 pounds ...40--5.35, short shuttle-- 4.75, ..10 yd dash- 1.82, vertical 27 inches...the only thing he needs to work a little more at is the bench at 225 where he did 24 reps.....but that will come when on an NFL team.. has the long arms. Arms span longer than Jake Matthews (OT) Texas A&M, and same as Taylor Lewan (OT) of Michigan both expected to be top 15 picks. Edgerrin James on Phillip Dorsett: "He's Going to Be Unbelievable"
A number of former Miami players are gathering together to play for the Colts this season, and that has prompted some to label it the "reUnion." Running back Frank Gore and wide receiver Andre Johnson both signed with the Colts as free agents, joining a roster that already included tight end Erik Swoope and a coaching staff that has Chuck Pagano and Rob Chudzinski, and then in the first round of the draft the Colts selected wide receiver Phillip Dorsett, also from Miami. Former Miami players at the Colts' skill offensive positions is not a new thing, however. For much of the last decade and a half, a former Miami player had a major impact on the Colts' high-powered offense, whether it was running back Edgerrin James or wide receiver Reggie Wayne. 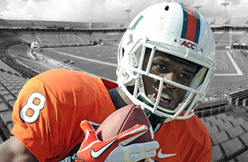 Because of the culture at "the U," Dorsett became familiar with seeing Johnson, Gore, Wayne, or James in the weight room as he was working out, and Edge even texted him when the receiver was drafted by the Colts. For Colts fans who fondly remember the Edgerrin James days, that's good to hear him say such things about Dorsett. It's also nice to know that, while Dorsett could get great advice from the likes of Gore, Johnson, Wayne, James, or others at Miami, he now has even easier access to that advice in the Colts' locker room. The team has a number of veteran leaders (including former Miami players) who should be able to help Dorsett adjust to the NFL and excel, and the team has a star quarterback in place to help Dorsett reach his potential. There were a number of Colts fans who were unhappy with the pick, and that's understandable. But Phillip Dorsett is a Colt, and he's a very fast and talented player who should help the team. And if Edgerrin James is a fan and thinks that Dorsett is just scratching the surface of his potential, that should certainly help to inspire confidence from fans. Here Flowers (76) is working on a footwork and hand placement drill. Notice the yelling that comes from offensive line coach Pat Flaherty during Flowers' reps. That didn't happen for every player. Giants OC Ben McAdoo declined to say whether first-round pick Ereck Flowers will start at right tackle. "We're going to play our best five and if Flowers is one of them, then he'll have a spot," McAdoo said. "We'll give him opportunities, but that doesn't mean we're going to pencil him in right now." 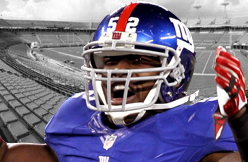 Flowers is the Giants’ left tackle of the future, but will start out on the right side. Justin Pugh is expected to move to left guard. Defensive back LaDarius Gunter, who signed with the Green Bay Packers as an undrafted free agent, has an uphill battle in his fight to make the 53-man roster. However, it's no secret that undrafted free agents have experienced an abnormally high level of success in Green Bay. In 2014, Packers undrafted rookies played more than double the snaps of other teams' undrafted rookies, per a study the team conducted, via Paul Imig of FoxSports.com. In each the last five seasons, Green Bay has signed at least three undrafted free agents to the roster. Given this pattern, a few of the Packers' 17 undrafted free agents in 2015 can expect to make the final roster, or at the very least the practice squad, at the conclusion of training camp. And though his position has gotten crowded, Gunter is talented enough to be one of them. 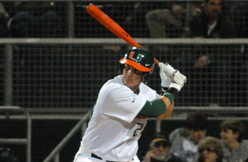 Gunter played three seasons at the University of Miami, starting 30 games and playing in 37. He leaves Miami with 111 tackles, three tackles for loss, a forced fumble, 18 pass breakups and six interceptions. Though Gunter's production seemed to dip in his final season, in which he had 26 tackles in 12 starts and two interceptions, this is largely attributable to the fact that opponents simply didn't want to throw to him. "Having established himself as one of the better and more physically imposing corners in the ACC, opponents elected to largely ignore his side of the field in 2014," Rob Rang and Derek Stephens of CBSSports.com wrote. Analysts were impressed by the 6'2", 202-pound prospect prior to the draft. NFL.com's Lance Zierlein had him ranked as a Round 4-5 talent. "If he impresses in workouts and interviews, Gunter is likely to hear his name called on Day Two of the draft," Rang and Stephens projected. So why did Gunter go undrafted? He certainly impressed at the Senior Bowl, where he had four tackles—the most of any cornerback—per Patrick Magee of the Biloxi (Miss.) Sun Herald via MiamiHerald.com. He also had a flashy diving interception in the end zone for the South squad. At his pro day, Gunter improved on his measurables from the NFL combine. He improved his 40-yard dash times to 4.66 and 4.64 seconds after recording a 4.69 in Indianapolis. His three-cone shuttle time fell from 7.18 seconds to 6.91 seconds. It's possible Gunter's 40-yard dash time forced teams to look elsewhere, as teams hoping to bring him in to compete for a starting job might have written him off as a zone corner. However, Gunter proved at Miami that he has the ball skills and size to be a successful press corner, as well. The secondary, which was looking a little depleted after Tramon Williams, Davon House and Jarrett Bush departed in free agency, is certainly looking replenished now. In 2014, the depth chart included six corners: Williams, Sam Shields, House, Casey Hayward, Demetri Goodson and Bush. Now, in addition to Shields and Hayward, who are locks to make the 53-man roster, six other players will compete for a spot: first-round pick Damarious Randall; second-round pick Quinten Rollins; practice squad holdover Tay Glover-Wright; 2014 rookie Goodson; and 2015 UDFAs Bernard Blake and, of course, Gunter. Further complicating the expected roster spots in the secondary is the number of players on the roster who are defensive backs. Though the Packers list Gunter as a corner currently, he could be considered among these given his experience at safety, as well as Micah Hyde and free-agency addition Kyle Sebetic. If these players make the roster, do they count themselves among the safety group, which sees starters Morgan Burnett and Ha Ha Clinton-Dix, as well as Sean Richardson and Chris Banjo, returning? All in all, the secondary comprised 11 spots on Green Bay's depth chart in 2014: six cornerbacks and five safeties. The odds are certainly more difficult for Gunter, but he brings something to the roster no other cornerback currently does: size. Gunter is currently the only cornerback/defensive back on Green Bay's roster listed at over 6'0"—and quite a ways over, at 6'2". That size gives him an advantage, as right now the Packers' two likely starting corners, Shields and Hayward, are both 5'11". Gunter is "blessed with an exciting combination of height and fluidity," Rang and Stephens write. "Sports a long, tapered frame with broad shoulders and long arms, making him well-suited to handling coverage against today's behemoth receivers." He also has a nose for the ball. He had six career interceptions and 151 yards in returns at Miami, but also had 18 pass breakups. ESPN's Mel Kiper is impressed with Gunter's combination of size and ball skils. "He is actually a guy that can be a number two corner in the league," Kiper told Devin Dae Tucker of SB Nation. "He is a big and physical guy, someone teams are really looking for. I love the way he runs and turns, and has good ball skills." That physicality could be Gunter's ticket to a roster spot in Green Bay, or at the very least the practice squad. Fourth round pick Jon Feliciano was showing off his versatility - he was playing center. After the team drafted him, he said he had played every position on the offensive line, though he had never played center in an actual game. They didn't bring in any centers for the rookie camp, so he was playing there almost exclusively. Hard to say if that will continue in OTA's and beyond. Other Raiders players with some center experience, aside from Rodney Hudson, are Lamar Mady and Tony Bergstrom. Third round pick Clive Walford is a pretty imposing target at tight end. He is listed at 6-4, 251 which puts him around the same height as several linemen, just 50 pounds lighter. He got the number 88 with the team cutting Nick Kasa. Walford looked fluid as a receiver, as advertised. Duke Johnson forgot himself for a moment. As the temperature at rookie minicamp reached about 212 degrees, he chopped through a drill in which running backs step through a stringed contraption while carrying a football weighted like a medicine ball. The coach was grinning, but serious. Johnson is not a normal 77th overall draft pick. He has a real chance to start right away, competing against 2014 rookies Terrance West, who was a No. 94 overall draft pick, and Isaiah Crowell, who was undrafted. West and Crowell boast NFL experience that includes some bright moments from 2014. Their college experience, with West putting up big numbers at Towson and Crowell finishing at Alabama State (having been an SEC freshman of the year), doesn’t compare to Johnson’s. 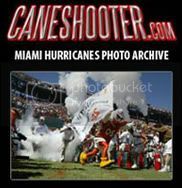 Johnson was an 18-year-old freshman when he played his first college game and in three years became the Miami Hurricanes’ career rushing leader. He already was full of confidence by the end of his freshman season, which produced one of his favorite games. Facing Virginia, he threw a halfback option pass for a touchdown and returned a kickoff 95 yards for a touchdown in the first quarter. Sharing the running load with two backs who totaled 83 yards on 17 carries, Johnson squeezed 150 yards out of 16 carries. He also was used as a receiver. “I thought I showed everything I can do in that game,” he said. As a senior, his overall production (242 carries for 1,631 yards at 6.8 per carry; 38 catches for 421 yards) compared to that of Ohio State’s Ezekial Elliott (273 carries for 1,878 yards at 6.9 per carry; 28 catches for 220 yards). One limitation is size, reflected in the fact his 10 rushing touchdowns in 2014 were the lowest total among BCS players who finished in the top 14 in rushing yards. Still, he’s way lighter than Crowell and noticeably lighter than West. The backs drafted ahead of Johnson were Georgia’s Todd Gurley (6-1, 222), Wisconsin’s Melvin Gordon (6-1, 215), Alabama’s T.J. Yeldon (6-1, 226), Nebraska’s Ameer Abdullah (5-9, 205) and Indiana’s Trevin Coleman (5-11, 206). Farmer calls Johnson “a dynamic player who can run, catch, return kicks and catch punts. “He has a complete skill set. We love that he’s quick, agile and well balanced. He runs through trash. He can jump over guys on the ground, land and cut. Bernard plays for the Bengals. Tom Heckert regards Westbrook as his best value pick during his days as the Eagles’ general manager. Westbrook was a No. 91 overall pick in 2002. On Philadelphia’s 2004 Super Bowl team, Westbrook averaged 4.6 yards on 177 rushes and 9.6 yards on 73 catches. Head coach Mike Pettine talks as if the different looks presented by Johnson and Crowell all have a place. “You want to be able to match up differently different weeks,” Pettine said. “Some weeks, it might be a good matchup for Terrance, others for Crow. And now Duke kind of gives us that added element. Bookmakers have an inkling Johnson might help the Browns right away. Odds against him being NFL offensive rookie of the year aren’t terribly long, at 25-1. Marcus Mariota, to name one of the 13 players with shorter odds than Johnson, is 10-1. The Browns have had ex-Hurricanes in their backfield before. James Jackson was drafted 12 spots higher than Johnson, at No. 65 overall, in 2001. He didn’t work out. Willis McGahee was the emergency replacement after Trent Richardson was traded in 2013. He was too old. Jackson and McGahee had past ties to their Browns head coaches, Butch Davis and Rob Chudzinski. Johnson arrives fresh and agenda free, drafted simply because Browns scouts and coaches think he can inject serious juice into the offense. 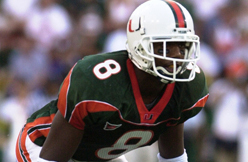 The former Miami back with whom Johnson has had his most serious talks since the draft is Edgerrin James, a candidate for the Pro Football Hall of Fame. Johnson soon will be going through the Browns’ spring program in competition with West and Crowell. He talked to West after the draft. Raiders See Tight End Walford as "Total Package"
This wasn’t considered a good NFL draft class for tight ends, but it could be argued the Raiders selected one with the potential to be an impact player in the third round. That’s when Oakland took the University of Miami’s Clive Walford with the 68th overall choice in the three-day draft that concluded this past Saturday. Walford came to Miami as what the Palm Beach (Fla.) Post described as a “gangly former basketball player who took up football full time as a high school senior.” But over his time at Miami, Walford improved his size and strength – he’s now 6-foot-4 and 251 pounds – and finished as Miami’s all-time leader among tight ends, with 121 catches for 1,753 yards and 14 touchdowns. And remember: Miami has produced some great NFL tight ends, including Jimmy Graham, Kellen Winslow and Greg Olsen. Now Walford will compete with incumbent Mychal Rivera, who’s proven to be a reliable receiver, for the starting job. 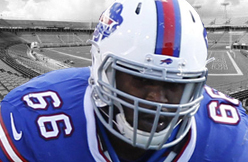 He’ll also team with Rivera and free-agent veteran acquisition Lee Smith, a strong and proven blocker from the Buffalo Bills, to give the Raiders plenty of options in different sets and circumstances. In 2014, the Raiders were notably thin at the position. Walford had a solid senior season at Miami, where he earned third-team All-America honors with 44 receptions for 676 yards and seven TDs, then turned in a very good week at the Senior Bowl, where he caught the notice of many scouts. Mel Kiper Jr., the longtime NFL draft analyst for ESPN, said Walford was the first or second best tight end available in the draft. New Raiders head coach Jack Del Rio calls Walford a “complete tight end,” meaning he’s equally adept as a receiver and blocker. And general manager Reggie McKenzie said he believes Walford has big potential. Donald Bulter and Manti Te'o might have a firm grasp on the Chargers' starting inside linebacker jobs. Defensive coordinator John Pagano heaped praise on the Bolts newest 'backer, second-round pick Denzel Perryman, in an interview with Judson Richards of Xtra 1360 Fox Sports Radio. It's clear that Pagano views the hard-hitting Miami product as a staple in his defense going forward. Pagano said Perryman will play right away on special teams. He could crack the starting defense soon, though, if Butler has another so-so season for San Diego. That fact only adds to his value in Pagano's eyes. “He can come into the room and push guys, and it’s something as a coach that’s you’re always excited about," Pagano said. Jimmy Johnson coached the Cowboys from 1989-1993 and in that time he led the team to two Super Bowl titles. He left Dallas before the 1994 season primarily because he and owner and general manager Jerry Jones didn't see eye to eye on personnel matters. 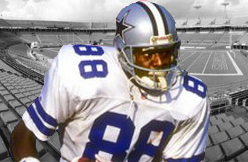 But Hall of Fame wide receiver Michael Irvin, who spent his entire 12-year career in Dallas, thinks the Cowboys could have won a lot more championships if Johnson had remained the coach. “When Troy (Hall-of-Fame quarterback Troy Aikman) and I get together we look at each other — and I'm telling you there's not a time we don't get together (and say) ‘We should've at least had five ourselves,' “ Irvin said on the latest Talk of Fame Network broadcast. “We should've won five. We should've at least walked away with a minimum of five Super Bowls. Instead, the Cowboys won a Super Bowl after the 1995 season -- coach Barry Switzer's second year on the job -- and won a playoff game the following season, but they didn't sniff another postseason victory until January 2010. In 2012, Johnson clarified Jones' claims that Jones played a major role in building the rosters that won those three titles. "The time I was with the team, I had complete and total responsibility over the football operation," Johnson said at the time. "That meant personnel, the draft, coaches, including the strength coach. Everything. It was always in my contract. ... When we signed that first contract, Jerry said, 'I'll be in charge of the finances, you'll be in charge of the football,' we'll make history." Jones, however, remembered things differently. And last summer, Jones reiterated where he stood on Johnson taking credit for the team's success. "Disloyalty ... I couldn't handle the disloyalty," the owner and GM told ESPN's Don Van Natta Jr. as to why he parted ways with Johnson. "Whether it was right or not, by every measurement you can go, I had paid so many times a higher price to get to be there than he had paid, it was unbelievable." Wherever the truth lies, it's hard to dispute that Johnson had a critical role in fixing the organization, which had three straight losing seasons when he arrived in Dallas. Running back Duke Johnson showed the electricity he displayed at the University of Miami on his way to becoming the program’s all-time leading rusher early Friday during the Cleveland Browns’ rookie mini-camp. On a flare pass from quarterback Connor Shaw, Johnson caught the spiral near the sideline, juked past two diving linebackers and bolted up the field for a significant gain. Coaches and offensive teammates were hooting and hollering as Johnson quietly went about his business. These are the types of plays, and attitude, general manager Ray Farmer and the Browns coaching staff had in mind when they selected Johnson in the third round of the 2015 NFL draft. Johnson wants to do it all in Cleveland – return kicks and punts, carry the ball as much as possible and even split out wide as a receiver now and then. Listed at 5-foot-9 and 210 pounds, Johnson is slippery for would-be tacklers and, just as Farmer described him, he’s short, not small. For as much as he wants on his plate as a rookie, Johnson’s also keeping his list of rookie goals short. Just one word, actually. In order to bring a winning attitude, Johnson has sought out help. Coming from such an esteemed college football program like “The U,” the Miami native has his fair share of former Hurricanes mentoring him. Johnson has worked out with former Browns running back Willis McGahee on the Coral Gables campus, and he’s been in touch with former All-Pro Redskins running back Clinton Portis, who tweeted Cleveland got a steal in Johnson shortly after he was picked. 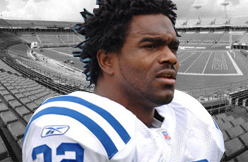 But the most instrumental of Miami’s famed running backs has been retired Indianapolis Colt and four-time Pro Bowler Edgerrin James. “He told me about taking care of my body, staying healthy,” Johnson said. “But mainly, being able to take coaching and being on time. Johnson has also been in touch with Browns second-year running back Terrance West, who reached out to him. With Johnson already aboard and busting his tail in Cleveland, the Browns’ running backs room is now oozing with young talent. Denzel Perryman waited longer than expected to be drafted when the Chargers pounced on the highly regarded inside linebacker with the 48th overall selection. He was excited to fly to America’s Finest City the next morning for his introductory press conference. Unfortunately, the airlines cancelled his flight at the last minute. Still, whether it meant lasting until the second round or delaying his arrival in San Diego by one week, it’s all proven worth the wait as Perryman believes he’s landed in the ideal situation. The draft itself was a whirlwind for Perryman, who was regarded as one of the fiercest tacklers available in the draft. He believes he’s a perfect fit for Defensive Coordinator John Pagano’s scheme, and was humbled by the immediate outpouring of support from his newest teammates. Perryman is also thankful for the strong fan response as well. 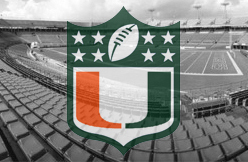 Along with most of the rookie class, Perryman’s NFL career is now officially underway. He’ll spend this week getting acclimated to the Chargers’ program and culminating with the highly anticipated rookie minicamp this weekend. OWINGS MILLS, Md. 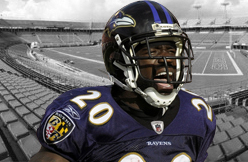 (AP) — Ed Reed came into the NFL as a member of the Baltimore Ravens, and now he's leaving as one. The nine-time Pro Bowl safety formally announced his retirement Thursday after signing one final contract with the team that drafted him 24th overall in the 2002 draft. "This is where it started," Reed said. "I knew this is where it was going to end, because I never intended to leave this organization once I came here." Reed played 11 seasons in Baltimore before splitting time with Houston and the New York Jets in 2012. He did not play last season. "I just knew it in my heart that it was time to come home," he said. "It just felt right to do it ... and I'm trying to get my golf game together." It was important to Reed that he leaves as a member of the Ravens, the team he won a Super Bowl with after the 2012 season. Reed made dozens of lasting friendships with his coaches and teammates — many of whom were in attendance — and was also active in the Baltimore community. "Home is here. Home has always been in Baltimore," Reed said. "I love this city. I love this organization." Reed was the 2004 NFL Defensive Player of the Year, and his 1,590 yards on interception returns are the most in league history. His 64 interceptions rank sixth on the career list, and he owns the two longest interception returns in NFL history: 107 yards against Philadelphia in 2008 and 106 yards against Cleveland in 2004. Reed was a star at the University of Miami when he initially caught the eye of Ravens general manager Ozzie Newsome. The same applied in the pros: Reed is the only player ever to score return TDs off a punt return, a blocked punt, an interception and a fumble recovery. "He would make the pick or make the play that we would need," Newsome said of the 5-foot-11, 205-pounder. After signing the contract, Reed was added to Baltimore's 90-man roster. He was to be placed on the reserve-retired list Friday, making his retirement official. Reed did not go quietly. "I said, 'Ozzie, we need to negotiate this a little bit. Let me get three days, or maybe one year. I'm actually still available,'" Reed joked. Reed will be added to the Ravens' Ring of Honor before a game Nov. 22, and it made perfect sense for the Ravens to hold a retirement ceremony for him because he never really looked right in the uniform of the Texans or Jets. "You're part of something when you come to Baltimore," he said. "I would hope that I did more than I was supposed to as a Raven." Newsome, a member of the Pro Football Hall of Fame, added, "Probably the next time I'll be standing next to him is Canton." Reed said, "One day, I guess, I'll be there. But I never thought about making it to the Hall of Fame. I just wanted to be a great player for my teammates." Competition in the Indianapolis Colts' wide receivers' room thickened last Thursday when the team used its first-round pick on one of its deepest positions. Suffice to say when Phillip Dorsett's name was called, many were surprised. Was T.Y. Hilton among them? "There's nothing I can do about that," Hilton said Wednesday of last week's draft pick. "That's who they picked. That's cool with me." Hilton could be among the Colts most impacted by Dorsett's arrival. Coming off the best season of his three-year career, Hilton is entering the last year of his rookie contract. To be sure, a big payday awaits one of the league's most talented young wideouts. Whether or not that comes with the Colts remains to be seen. Meanwhile, Dorsett arrives this week with a skill set that is similar. He is 5-10 to Hilton's 5-9, 185 pounds to Hilton's 178, a 4.33 40-yard dash runner at the NFL Scouting Combine compared with Hilton's 4.34. Even Dorsett's father, also named Phillip, said he was shocked last week when the Colts called his son's name. The reason? Indy's loaded at the position. Beyond Hilton, a Pro Bowler last year — 3,289 yards and 19 touchdowns in three seasons — the Colts have Donte Moncrief coming off a promising rookie campaign on top of new arrivals Andre Johnson (a seven-time Pro Bowler) and CFL signee Duron Carter. Do they really need one more target? Colts' brass believed so. Dorsett, in their eyes, is that talented. "Nothing in this league should surprise anybody," Hilton said. "(It was) a pick that they thought we needed, so I guess that's what we needed to help this team." Hilton added that he hasn't met Dorsett just yet – both are South Florida natives – and he's eager to welcome his new teammate into the fold. Dorsett arrives in Indianapolis on Thursday for a three-day rookie minicamp over the weekend. "I haven't really watched him, (but) I know he's fast," Hilton said. "I think we're deep (at the receiver position). All of the guys can go out there and play. It's going to be fun; it's going to be a battle." Hilton, the team's No. 1 receiver, is due a base salary of $1.5 million this season. His market value is unquestionably higher. One Colt that has seen Dorsett in action is Johnson. The two former University of Miami players were around each other on a daily basis this winter in the weight room at their alma mater. Johnson was the not-ready-to-hang-it-up veteran, anxious to start fresh with a new team; Dorsett the eager youngster anxious for his NFL career to start. He peppered Johnson with questions, the two oblivious they'd be teammates in two months time. "He seems kind of like a gym rat," Johnson said of Dorsett. "Some days, you'll be like, 'Go home and get some rest,' and he's still in the weight room, trying to get better as a player. It'll be great to have him in here." Johnson was then asked if he's ever been a part of a receiving room this talented. "Not since college," he said, referring to the absolutely-loaded group of receivers he teamed with at Miami that included former NFL stars Reggie Wayne — the Colts' all-time leader in games played — and Santana Moss. Likewise, you won't hear Andrew Luck complaining. The Colts quarterback has a new weapon at his disposal – and this comes a season after Indianapolis led the league in passing offense. Yes, in one regard, the rich just got richer. Luck reached out to Dorsett shortly after the draft, calling to introduce himself and share how excited he was to add him to the arsenal. "I know Phillip's going to be a stud," Luck said. "Runs like the wind. Tracks the ball in the air. Makes big plays. Quality, quality guy. "I'm super stoked," Luck added. "There are a bunch of playmakers in this locker room, there really are." GREEN BAY, Wis. – LaDarius Gunter knows the Green Bay Packers picked cornerbacks in the first and second rounds of last week's NFL draft. If he did, the former University of Miami cornerback would have taken one of the many other offers he received from teams after he went undrafted rather than signing with the Packers, who picked Arizona State's Damarious Randall in the first round and Miami of Ohio's Quinten Rollins in the second. But that's not the path Gunter chose. "I'm a competitor," he said Saturday after the Packers rookie camp practice. Gunter has at least one advantage over Randall and Rollins – height. He measured 6-foot-1½ at the scouting combine, making him nearly two full inches taller than Randall and more than an inch taller than Rollins. He's the tallest cornerback on the Packers' roster, which can't be a bad thing considering they face the likes of Calvin Johnson (6-5) and Alshon Jeffery (6-3) twice a year. "With faster guys, I can get my hands on them and slow them down," Gunter said. "With the bigger guys, I can use my body and jump to play with those guys as well. [Height] plays a role in both situations." That could help Gunter make up for his lack of speed. He ran a 4.69 40-yard dash at the combine, the slowest time among all corners tested in Indianapolis. Gunter had just six interceptions in three seasons at Miami, the last two of which he was a full-time starter. "Some people are fast on a straight line," he said. "I feel like I'm just a football player. I'm not a track star. I'm a football player." Gunter wouldn't be the first undrafted player to make it as a cornerback in Green Bay. Tramon Williams and Sam Shields, the Packers' regular starters since 2012, both entered the league that way. 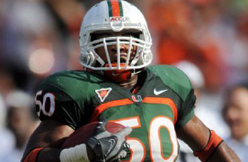 In fact, Shields did so out of the same school when he came out of Miami in 2010. "I just thought it was the best fit," Gunter said of the Packers. "And I knew Sam Shields' story, so I felt like I could get the same chance, the same opportunity he was given." Despite how the depth chart might look with the additions of Randall and Rollins, coach Mike McCarthy insisted there's a chance for a player like Gunter. "Absolutely, there's opportunity not only for defensive backs, but I think you really have to go into this with an open mind," McCarthy said. "Stick to your philosophy, and that's really to build your best 90-man roster." HAMILTON — - Adewale Ojomo and Julian Posey thought they had the football world at their feet, two athletically gifted players who line up on the defensive side of the ball, two skilled athletes who both figured all was good in their sporting universe. Turns out it was too good until reality struck, their NFL dreams effectively coming to an end at virtually the same time. Both of their football roads would take them to the Hammer, where late last season Ojomo and Posey were signed to the Ticats practice roster. For many, being assigned to a CFL practice roster is akin to football purgatory, the money diminished, the opportunity to play in a real game limited, but it was an opportunity for both to re-evaluate their careers. And once they were exposed to the CFL culture, Ojomo and Posey had an awakening, a rebirth that has made each much more appreciative of their opportunity. “Basically, it was a very humbling experience,’’ Ojomo began on Tuesday, the second day of Ticats mini-camp. “And I’m just thankful to be playing football. There’s always a sense of entitlement when one reaches the highest level of one’s athletic profession, selfishness compromising the team goal. At 6-foot-5, Ojomo can line up at defensive end or move inside at tackle. “We think he has a chance to be a versatile player,’’ Ticats defensive co-ordinator Orlondo Steinauer said of Adewale. “He has a longer frame, long-armed guy who is different than (Justin) Hickman and (Eric) Norwood (two incumbents on the defensive line). Posey, whose brother plays for the NFL’s Houston Texans, has all the necessary physical attributes to play in any CFL defensive backfield. But like Ojomo, Posey needed to take a step back before moving forward, his awakening arriving when he had a sit down with Steinauer. At Ohio, one of Posey’s teammates was Chip Cox, an anchor on the Als’ defence and one of the premier defensive players in three-down football. “I took a lot of things personally in life,’’ said Posey of his mental approach prior to his arrival in the Hammer. “With that being said, when I came up here I began taking a different approach and it allowed me to see the world differently. Last year’s brief exposure to the CFL game allowed Posey and Adewale to assimilate to the rules and playing style. Adewale’s quickness allows him to run sideline to sideline and pressure the backfield. For Posey, it was the foot work that expanded his game. When he trained with his NFL-playing brother this off-season, Posey showed better technique. “Different angles and spacing are required in the CFL,’’ said Posey, whose distant cousin is former hoopster and NBA champion James Posey. Posey believes he can line up anywhere in the secondary. Football players are often easy targets for impersonators, as they wear helmets for a living and don’t have the same kind of face-recognition other athletes might. And it helps when the crook has the same name. According to the Associated Press, a man named Michael Rumph was arrested for pretending to be former NFL cornerback Mike Rumph, for the purposes of renting a home on Long Island. Local prosecutors say the man pleaded not guilty to identity theft, criminal impersonation and possessing a forged instrument, and he’s free on $500 bond. They said the man had a pair of forged pay stubs, and a letter claiming to be from his employer. The real Mike Rumph was a first-round pick in the 2002 NFL Draft out of the University of Miami, and played for the 49ers, Washington, and briefly with the Rams, before retiring in 2008. 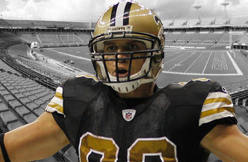 Jimmy Graham is happy now, but when he first found out he was being traded away by the New Orleans Saints, his initial reaction was sadness. Not because he didn't want to play for the Seahawks -- a team that should allow Graham to compete in the postseason on a consistent basis in the years to come -- but because he thought he was actually being shipped to a different west coast team. Graham recently revealed to a Seahawks fan that he thought he was going to be joining the Oakland Raiders for the 2015 season. And as Graham put it, that made him "very sad." Can you blame him? While the Saints are currently in a not so great cap situation, they're not the Raiders -- a team that hasn't made the postseason since 2002. Even though the Raiders are certainly on the come up with a young core that could blossom in the years to come, Graham will turn 29 this season and could be past his peak when the Raiders are finally ready to contend for meaningful games in January. Seattle, on the other hand, is not only a team that was a yard away from back-to-back Super Bowl wins, but is also a team in need of a receiver of Graham's caliber. It's hard to imagine the Seahawks throwing a goal line slant to Ricardo Lockette with Graham on their roster. Furthermore, it probably wouldn't have made much sense for the Raiders to part with an early draft pick like the Seahawks were able to. Oakland is still building for the future and needs to hit on draft picks to fill out its roster. All of that equals a happily-ever-after ending for Graham. EAST RUTHERFORD — Steve Spagnuolo knows Antonio Pierce isn't walking through the Giants' locker room door on the first day of training camp. Neither is Osi Umenyiora, Michael Strahan, or Antrel Rolle, for that matter. Still, despite the lack of an unquestioned defensive leader in the locker room, the Giants' defensive coordinator knows it is a matter of time before a player rises to the occasion and seizes that role. "That's going to take a little bit of time," Spagnuolo said during his first public remarks on Saturday since being re-hired by the Giants. "There are guys in that room that we're working with right now that I know in the past, having listened to other coaches or watching the Giants from afar, that I think there's some good leaders there and I think you always have got to develop more. "Sometimes when leaders leave the program or system, some guys jump up that you would have never expected. Sometimes leadership lids are removed and guys that you never even would have thought would step to the forefront. I'm anxious to see who that might be." A natural candidate for defensive captain would be Jon Beason, a middle linebacker who has struggled to stay on the field the past three seasons because of injuries. Beason has all of the attributes that Spagnuolo loved in Pierce: Natural football intelligence, veteran experience, the respect of his peers, and, when healthy, a solid football player, even at 30 years old. Spagnuolo said the relationship between defensive coordinator and middle linebacker is one of the most important of any coach and player. Pierce acted as Spagnuolo's field general in 2007 and 2008, responsible for getting guys lined up correctly and relaying the defensive calls. Spagnuolo and Beason are starting from ground zero as far as building that trust, but he's seen plenty from the Giants linebacker over his nine NFL seasons to know what he brings to the table. "I remember Jon coming out of Miami and I have friends down in Carolina that were with him and I remember talking about Jon Beason before he even became a Giant," Spagnuolo said. "Everything was complimentary and you've got to love those guys that like the chess game. [Linebacker] Jameel McClain is the same guy, and I have some experience with him in Baltimore, so it's nice to have a couple of guys like that and I'm sure there'll be some other guys." McClain and cornerback/safety Chykie Brown are the only two Giants defenders who played under Spagnuolo, having coached both players as a defensive assistant for the Ravens. Spagnuolo said he would lean on those guys to help relay some of the concepts and schemes that are unfamiliar to this group. "You take the good from all of the places and it will be easier if I'm trying to feed something to the guys about maybe something that we did or the way we did it in Baltimore and they could probably back it up and say he knows a little bit about what he's talking about because we were there, too." Of course, if Spagnuolo really needs to remind his players that he knows what he's doing, he can always pull out that Super Bowl ring. The Nebraska Danger of the Indoor Football League announced Thursday that wide receiver Kayne Farquharson and defensive lineman Claude Wroten have been released from the team. Wroten, 31, and Farquharson, 30, have both been charged in Hall County Court. Wroten is charged with unauthorized use of a financial transaction device (a Class IV felony) and theft of property lost or mislaid, a Class III misdemeanor. Farquharson is charged with unauthorized use of a financial transaction device, a Class 1 misdemeanor. They were both released on their own recognizance. In both charges, the device or property belonged to Carol Knauss. Wroten will have his preliminary hearing in Hall County Court at 9:30 a.m. June 12. 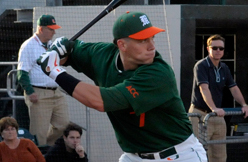 The former University of Miami player had been with the Danger since 2012. He led the team with 74 catches for 915 yards and 26 touchdowns that season and was an All-IFL second team selection. He followed that with a strong 2013 campaign when he caught 71 passes for a league-leading 1,081 yards and 21 touchdowns. He was named to the All-IFL first team that season. Farquharson had 54 catches for 690 yards and 12 touchdowns last year as the Danger advanced to the United Bowl for the second straight season. Farquharson was an All-IFL second team pick that year. Farquharson was considered one of the Danger’s leaders with the community. He made countless public appearances during his time in Grand Island. Danger general manager Mike McCoy said earlier this year that the team had 109 public events last year, and estimated that Farquharson was at 90 percent of them. McCoy also said in April that Farquharson was great with the kids in the community. Farquharson was second on the Danger this year with 34 catches and led the team in receiving yards (446) and touchdowns (15). Wroten was an All-IFL first teamer last year. Wroten, who played college football at LSU, had 29 tackles, including 8.5 sacks and 15 tackles for losses, for the Danger. Wroten had 15 tackles, including two sacks and 5.5 for losses, for the Danger in seven games this season. The Danger lead the Intense Conference of the IFL with an 8-1 record. The team has a bye this week before playing on the road against the unbeaten Sioux Falls Storm on May 16. Had a great time w a great group of guys helping @jackbrewerbsi @andreberto @carlosemmons @takeospikes51 @tommieharris @sergiobrown38 @ramsesshines #leeevans rebuild through giving back their time to a community that needed a hand! #blessed #helpinghand #charity #nooneaskedforanything thanks to everyone that laid the grown work & provided the best of the best & opening up your country & homes. 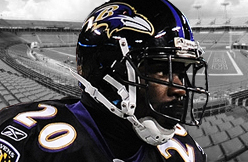 Ed Reed was the rare defensive quarterback who outfoxed even the best quarterbacks. Reed, a safety who made nine Pro Bowls and five All-Pro first teams with the Baltimore Ravens, retired Thursday as the NFL leader in interceptions yards. He takes with him a Super Bowl ring and a reputation that could win him a bronze bust in Canton. Reed, 36, studied and went against the best of his generation's quarterbacks during a 12-year career. Of them all, the best he faced? The first he mentioned Thursday is known to San Diegans. "Philip Rivers was always tough to go against, I thought," he said. Reeds dueled often with Tom Brady, Peyton Manning and Ben Roethlisberger, among other top-flight quarterbacks. "Tom Brady, he's always a tough one," he said. "Him and Peyton (Manning). Going against those guys, the teams that they had, were always tough to compete against." No surprise to me Reed mentioned Rivers first. Not after watching Rivers scorch the Ravens four years ago on a Sunday night in San Diego, and not after asking Reed about Rivers afterward, and seeing the safety's rueful grin as he said, more than once, that the Ravens came to play but Rivers simply got the better of them. No, Reed added, it wasn't surprising. Rivers was capable of outplaying anybody. Of course, the Ravens and Reed had successes against Rivers and the Chargers. But in the five games, Reed never picked him off. Drew Brees threw Reed's only interception in six games versus the Chargers. While there has been no official word on how severely the league will punish Tom Brady for his involvement in Deflategate, future Hall of Famer and just-retired safety Ed Reed thinks the Patriots quarterback should face consequences for his actions. "It's a lot of things that affect the integrity of the game," Reed said, according to the Baltimore Sun's Aaron Wilson. "We make lessons out of guys like Adrian Peterson and Ray Rice when it comes to harsh things that affect the integrity of the game. That's what we're about protecting. "If Brady made some choices, we've got to suffer the consequences. That's for all of us. 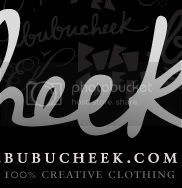 None of us are perfect, but if you make decisions then you've got to suffer the consequences." The issue is whether deflating footballs is a big deal. Yes, it's against the rules, but how much of an advantage is it really? Most importantly: Should it merit a multi-game suspension for Brady? "It's definitely gamesmanship," said Reed, who spent 11 seasons with the Ravens. "For the players, it's about having an equal playing field. You heard about all the science and research. I played football with a smushed-up can. It doesn't matter to me about the football. It's whatever. We're on a professional level. We set an example. That's what it comes down to." Also not helping: The Patriots' reputation for skirting the rules. "They've been calling them guys cheaters," Reed said. "That's the news, that's the media. They've built that up around themselves at this point." Meanwhile, Ravens wide receiver Steve Smith put it all in perspective like only he can. "I'm glad my name is my name and I have to deal with my issues, I think that's going to be on them," Smith said. "I don't really have time to be concerned with that. Whatever they do, there's going to be consequences for their actions. I could care less. I think Tom Brady could care less what I think about it, too." Brady may not care what Smith thinks, but he's certainly wondering what's on Goodell's mind. Former Ravens reserve running back Damien Berry is in a Florida jail and is facing outstanding warrants in Maryland on charges of writing a worthless check for over $100,000 and unauthorized removal of property, according to Florida and Maryland court records. The unauthorized removal of property involves Berry taking a car, according to a jail official. Berry remains in the Lee County Jail in Ft. Myers, Fla., on the warrants and hasn't signed a letter of extradition, jail officials told The Baltimore Sun, but will eventually be extradited, according to a jail official. He was arrested on the warrant Monday morning. Berry faces no new charges in Florida. Berry also has active cases in Maryland for driving on a suspended license and failure to appear, failure to display license on demand and failure to appear and failure to pay child support and failure to appear. Prior to being released by the Ravens two years ago, Berry was arrested by Baltimore County police on a failure to appear warrant stemming from a charge of driving with a suspended license. The former University of Miami player was pulled over in his 2010 BMW by Howard County police on Jan. 24, 2013 at 1:06 a.m. for driving 63 miles per hour in a 40 mph zone. Berry spent the 2012 season on injured reserve after being on the Ravens' practice squad as a rookie two years ago. He sold his Super Bowl XLVII ring last year and it was later auctioned off by Goldin Auctions. He told The Sun that he didn't sell his ring, but notarized documents told a different story. Ken Goldin, the founder of Goldin Auctions, two years ago said that Berry and witness Brian Levine went to a Wells-Fargo bank in Florida to have the sales contract notarized. Goldin said that Berry displayed his driver's license to an authorized, licensed notary before being given two cashier's checks that the NFL player then cashed at the bank. Jay (wrist) is considered a game-time decision for Tuesday's game, Jenifer Langosch of MLB.com reports. Jay was held out of the lineup with what was thought to be a sprained left thumb, but the team is now listing him as day-to-day with a sprained left wrist. It doesn't look to be anything serious, but he could miss another game or two in the short term if his condition doesn't improve by Tuesday afternoon. Diamondbacks prospect Peter O'Brien seems to be adjusting to life in the outfield well. O'Brien was originally drafted by the Yankees in 2012, but was traded to Arizona at last year's trade deadline. Though he came into professional baseball as a catcher, the Yankees started moving him around to different positions, including third base and right field. Late in spring training the Diamondbacks decided to shift him primarily to the outfield so he could focus more on his hitting. "Catching is a lot of fun, but I really enjoy the outfield and I definitely think that my bat is my biggest strength," O'Brien said, per the Arizona Republic. "I think that plays a little bit better in the outfield." Now with Triple-A Reno, O'Brien is hitting better than ever. Through his first 27 games, the 24-year-old owns a .369/.393/.709 hitting line with eight home runs and 28 RBI. "It kind of cleared my mind a little bit and let me be in the lineup every single day and focus more on the bat," he said. "It's been great so far. 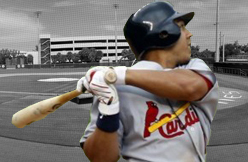 When we made the move in spring training, it's kind of exactly what I had in mind." 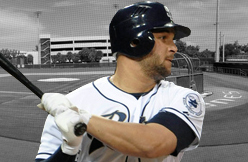 The San Diego Padres placed first baseman Yonder Alonso on the 15-day disabled list Saturday with a bruised right shoulder and recalled outfielder Abraham Almonte from Triple-A El Paso. Alonso was hurt diving for a ball in the bottom of the eighth inning on Thursday against Arizona. He is batting .333 with 11 runs scored and a .427 on-base percentage in 26 games this season.